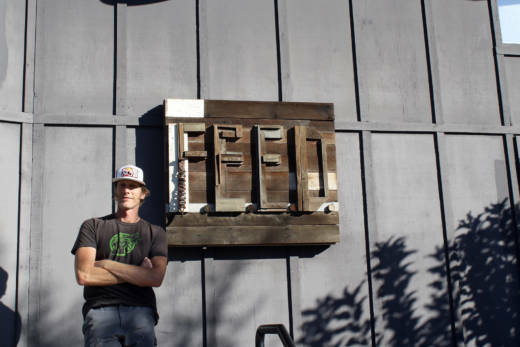 On the first Friday after the North Bay fires swept through Sonoma County, displacing an estimated 100,000 people, Tim Page drove from San Francisco to the Salvation Army in Sonoma County with 2,000 fresh, chef-made breakfasts, courtesy of SF Fights Fire, stacked in the back of his company van. The trip was the first of many made over the next two weeks by Page and his employees at F.E.E.D. 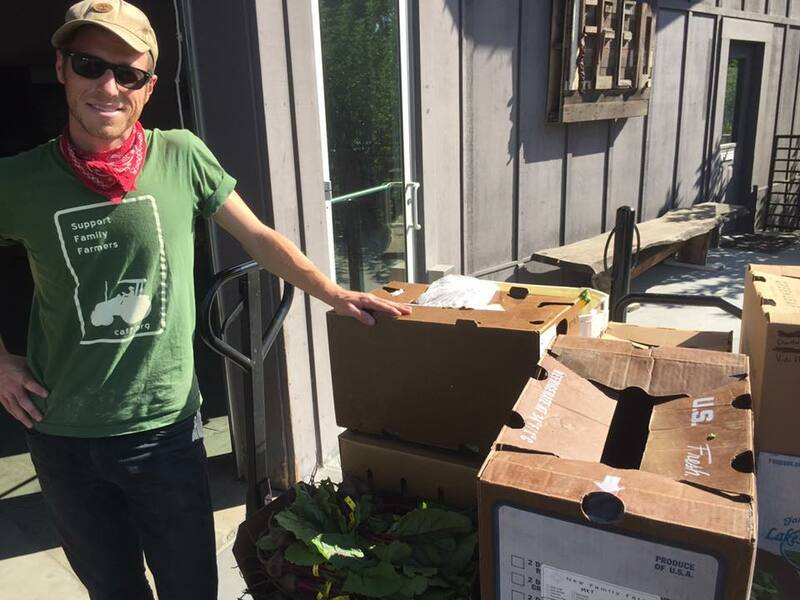 Sonoma, a micro-regional produce aggregation and distribution food hub in Sebastopol that functions as a conduit between dozens of small, organic farms and chefs and restaurants across the Bay Area. No matter what’s going on, or how big the scope of a disaster, one thing is for certain: People need to eat. 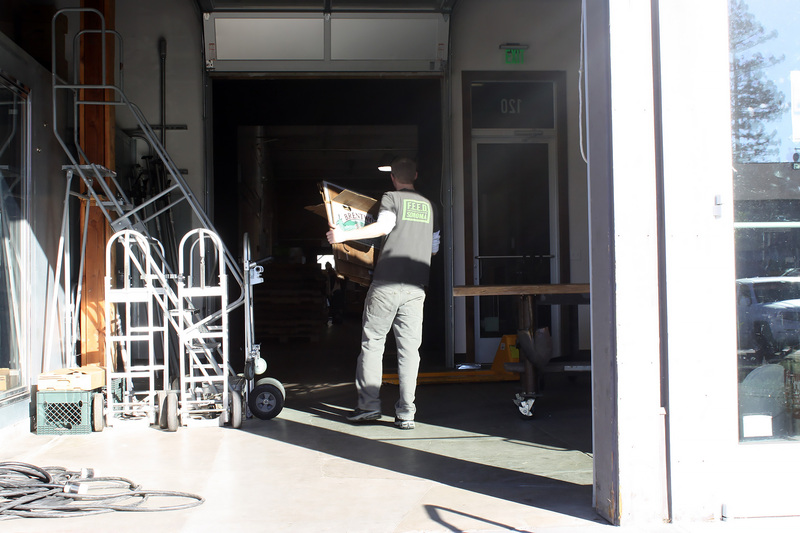 With its large walk-in refrigerators, storage capability, and fleet of four delivery trucks, F.E.E.D. (short for Farmers Exchange of Earthly Delights) transformed into a hive of volunteer activity. 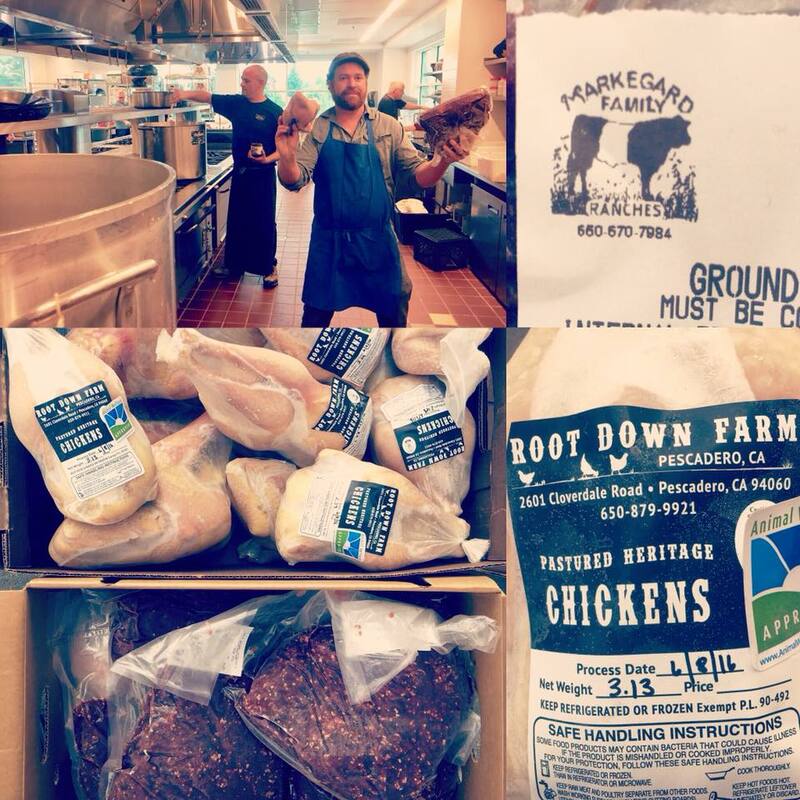 Donations poured in from small family farms and ranches locally and across California, including whole pallets of pastured-raised chickens from Root Down Farm in Pescadero, and ground beef from Markegard Family Grass-Fed. F.E.E.D. was the hub for all. 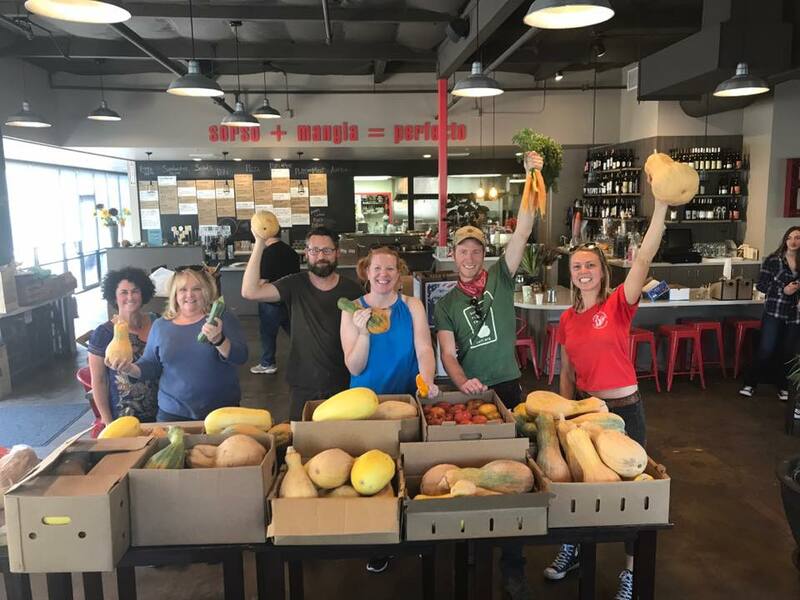 These ingredients were then delivered to emergency kitchen operations, run by the chefs at Backyard, which prepared and distributed 16,000 meals the week after the fire, along with Ceres Community Project, and Worth Our Weight. Page says the “communal” call to action in a time of unprecedented disasters was impossible to refuse. “It was a grassroots, multi-pronged effort” he adds. “Plenty of people around the county started cooking and handing out meals. The initial reaction to the fires was to give—to help.” Ultimately, he adds, it came down to doing what they already knew how to do, but doing it really well and under pressure. Out in Occidental, a hamlet west of Sebastopol, Kaelyn Ramsden immediately started thinking about access, or lack thereof, to fresh fruits and vegetables in evacuation centers. As the school garden coordinator at Salmon Creek School, she knew the solution lay in procuring produce from the wealth of small farms in Sonoma County. Why should disaster workers in evacuation centers and first responder camps have to rely on canned food imported from across the country to feed people in a place where the support for good, clean, and local food runs strong? First, Ramsden went hyper-local. She harvested as much kale as possible from her own garden, taking it to Ceres Community Kitchen, where volunteers were preparing daily meals for evacuees at Analy High School. Within a couple of days, Ramsden had coordinated with Page at F.E.E.D. and a crew of volunteers to get the produce donations from farms into pop-up kitchens. It was her way of ensuring that people were getting the good, nourishing food she believed they needed in a time of crisis, as she explains in the video below. Wiig helped to coordinate food donations during that first chaotic week, as the fires still burned in Sonoma, Napa, and Mendocino counties. People from the culinary world were calling him left and right asking where they could get produce and ingredients. He started calling local farmers asking for donations. “Of course, without a moment’s hesitation every single one of them started showing up to kitchens with deliveries, from New Family Farm to Red H to Singing Frogs,” says Wiig. At this point, Ramsden stepped up transportation efforts, coordinating volunteers to pick up donations so that time-strapped farmers could get back to the harvest. Still, something wasn’t sitting right. Although farmers were offering donations with zero hesitation, Wiig knew sales were down 50 percent for farmers who already operate on slim margins. One large farmers’ market had been burned out by a fire at the Luther Burbank Center in Santa Rosa, restaurants had shuttered, and people weren’t going out to eat. Farmers were feeling the economic hit. With the help of Ramsden and farmer Caiti Hachmyer of Red H Farm, Wiig set out to raise enough money on the Sunday after the fires to buy out the produce at the Sebastopol Farmers’ Market. By the end of the day, they’d raised $800 from shoppers and passersby. The money was used to purchase as much produce as possible; Wiig ended up walking out with about $1500 worth of food as farmers gave generously. They took the goods to F.E.E.D. for storage and then loaded it up and drove the next day to Franchetti’s in Santa Rosa, where chef and owner John Franchetti roasted the vegetables (the restaurant didn’t have gas at the time) to be used in give-away meals. Wiig then turned to the owners of local restaurants Lowell’s and Handline, who had asked how they could help with fire relief. Wiig asked them to help raise funds for what he had dubbed the “farm-to-emergency pipeline.” They managed to raise $10,000 in donations through Thursday night dinner sales. This money allowed F.E.E.D. to purchase food for emergency kitchen operations directly from local farms. These donations were invaluable according to Heather Irwin, a food writer at The Press Democrat and Sonoma Magazine. Irwin launched Sonoma Family Meal, a roving chef-managed disaster kitchen, while evacuated from her own home in Santa Rosa. They served 70,000 meals in October. “The idea was for chefs to create local and organic-sourced meals to take home, amazing food that nourished people and had dignity to it,” says Irwin. The produce from the Sebastopol Farmers’ Market buy-out went to Sonoma Family Meal’s operation at Franchetti’s. Some went directly to the kitchen to be roasted for the night’s meals. The rest—squash, carrots, potatoes, onions—was parsed into bags to be handed out to those in need. Aside from Franchetti, volunteer chefs included Josh Silvers, Doug Keane, Santa Rosa Junior College culinary program staff and students, Mark Stark, and Miriam Donaldson, the co-owner of Wishbone restaurant, who ran the kitchen for three full weeks. Volunteers and donations have dwindled and money is running out, but Irwin wants to keep the popular meal distribution program going for as long as possible. The wildfires may be contained, but thousands are still displaced and the rebuilding process hasn’t even begun. As Evan Wiig puts it, Sonoma County already had a fairly well-connected food and farming system before the fires: That unity bore fruit under the pressure of sudden disaster. For his part, the coming together out of devastation has bolstered Tim Page’s desire to build infrastructure that strengthens the local food system by helping small farmers to distribute and sell their products. In fact, the post-fire unity between farmers, chefs, food system advocates, and food justice organizers has left him energized and ready for the next best steps. Read more stories from KQED Arts and KQED Food about North Bay fire heroism, resilience and recovery at Up From The Ashes - Rising From the North Bay Fires.